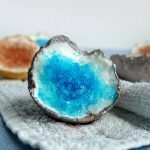 Bath Bombs that Fizz AND foam??? Let me introduce you to the Bubble Bar Bath Bomb. Yep, it’s a thing. And they’re actually pretty easy to make! First of all, Happy Valentine’s Day beautiful people! For me, celebrating the day of love does not mean spending it with your partner du jour necessarily. For me it’s a day to appreciate the people around you that you love unconditionally and care about. 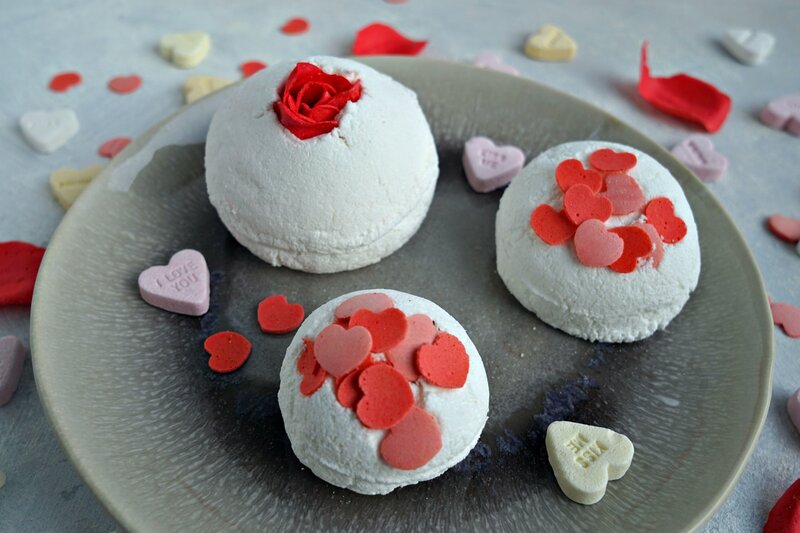 And if you happen to be looking for a last minute Valentine’s Day gift to show them just how much you love them, I don’t know anyone who wouldn’t be happy with a bubble bar bath bomb! 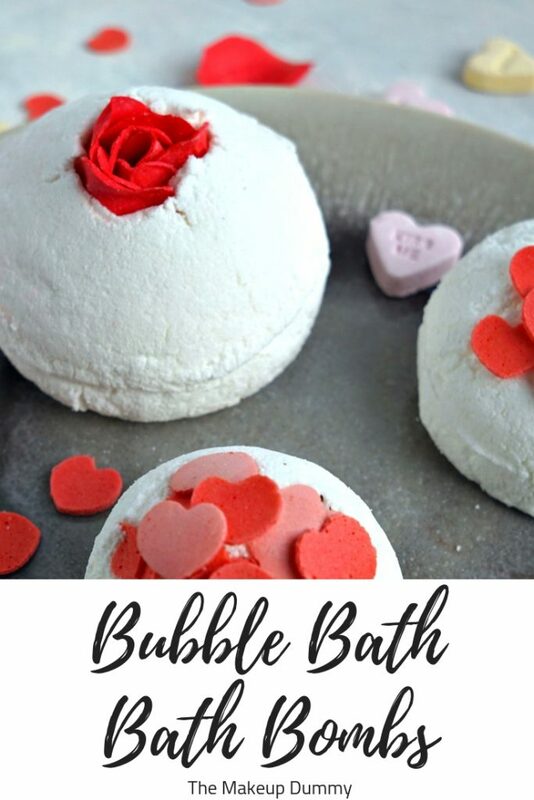 You might be happily surprised to hear that this bubble bar bath bomb recipe is made without SLS, SLSa or any other hard to find/unpronounceable/nasty ingredients. The bubbles are created by nothing other that the bottle of bubble bath you probably already have sitting next to your bath tub. Quick note: the bubble bath mixture you use might contain SLS(a) to create its bubbles. The reason why I’m so proud to announce this recipe doesn’t contain SLS(a) powder is because you don’t have to buy/find it yourself. Check the ingredients list of your bubble bath to make sure it doesn’t contain any ingredients you’re allergic or sensitive to. 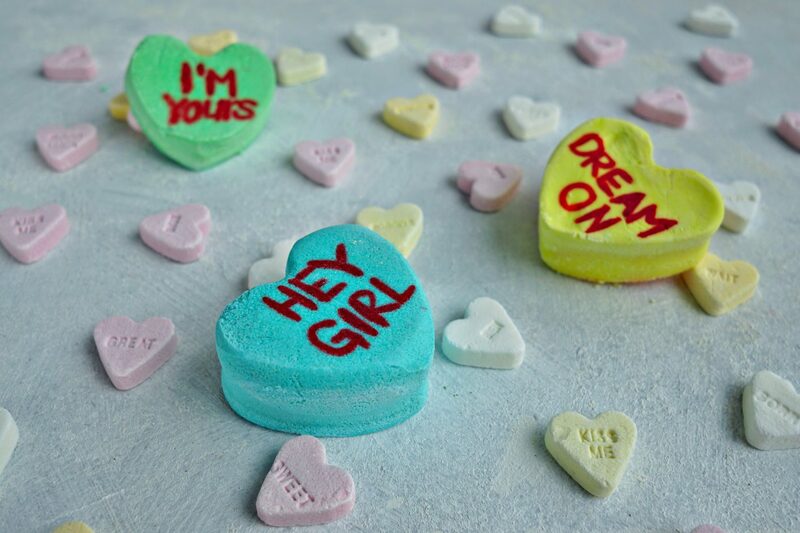 This is the last DIY tutorial in my Valentine’s Day gift idea series. 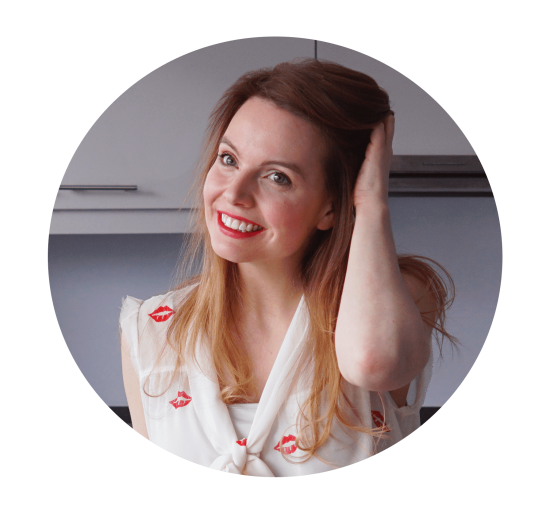 Just in case you missed it, here are my other easy homemade gift ideas you can check out. I also made a video of all 3 DIY tutorials that create lovely bubbles. You can view the instructions for this post as the third tutorial in the video! Good to know: you can easily watch the video without sound and it’s less than 7 minutes long! Combine your baking soda, citric acid and corn starch in a bowl. Mix to combine all of the ingredients. Carefully add 1 teaspoon of bubble bath to the dry ingredients. Keep stirring to make sure all of the ingredients are combined. Check if the bubble bar bath bomb mixture is ready by taking some of it in the palm of your hand and squeezing it. If it falls apart you can add a little bit more liquid bubble bath. If it clumps together you’ve added enough liquid. Keep in mind that a little goes a long way! For the big bubble bar bath bomb I put a red rose made from soap petals on the bottom to add a pop of color. For the smaller bubble bar bath bombs I put a few heart shaped soap confettis on the bottom. Fill both sides of your molds with the bubble bar bath bomb mixture. Press the mixture down with your fingertips and press both sides of the round bath bomb mold together. Take each bubble bar bath bomb out of its mold and let them dry overnight. As they dry they will start to set and might change shape a little (as you can tell by the bubble bar bath bombs you see in the picture). Don’t worry about this too much, as they will eventually dry out and their own unique bath bomb shape. If you want to save this DIY for later than don’t forget to put a pin on it! 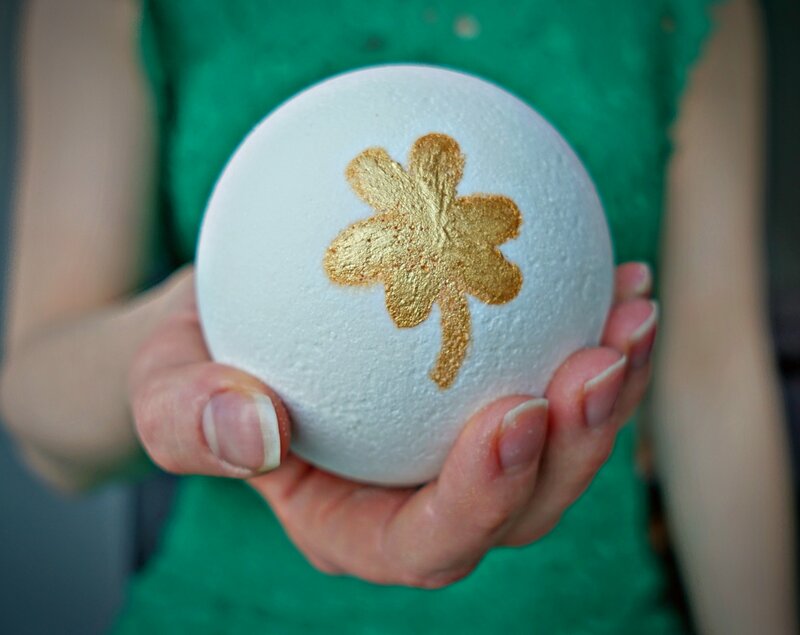 It seems really simple to make, and I do love a good bath bomb so Iisa@homeyou.com‘ll definitely try it! Ah, I think I see where I went wrong. Ingredients list says Tablespoon and directions say teaspoon. I have a bowl of expanding mix that kept pushing the molds apart. Hi Betsy, thank you for letting me know! I’ve changed the instructions to 1 – 3 teaspoons. Depending on the humidity in your house, 1 teaspoon can be plenty 🙂 Don’t worry too much about the bath bombs expanding. Take them out of the molds and set aside to dry. They will harden in their own odd shape!